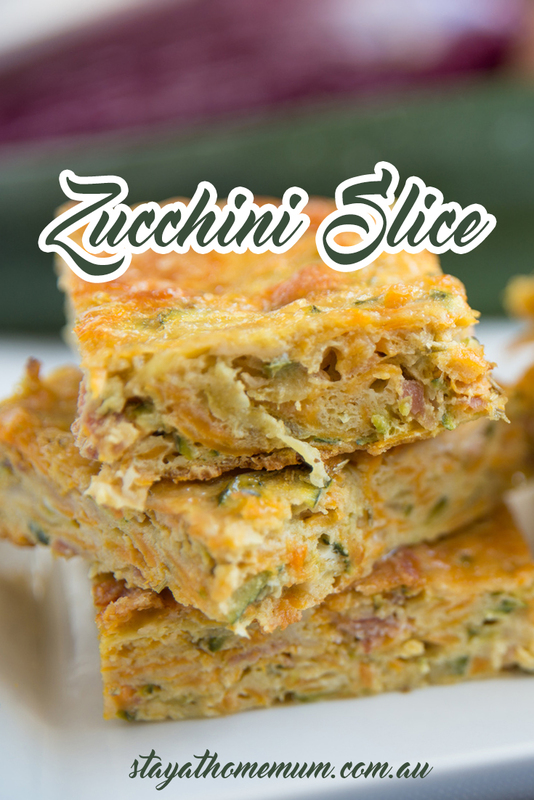 How to Make An Amazing Zucchini SliceDelicious slice for breakfast, lunch or a light dinner! Zucchini or summer squash is a very nutritious vegetable that contains a lot of vitamins and minerals. I heard it contains a high level of potassium, vitamin C, and fibre! But sometimes, it can be quite hard to get the kids to eat vegetables such as zucchini, which is why this recipe for zucchini slice is fabulous! This recipe for Zucchini slice does not attempt to mask the taste of the vegetables. Instead, it makes the vegetable taste irresistible! I don’t know why, but it just brings out the great taste of the ingredients. What’s more wonderful is that it is a complete meal by itself. The recipe contains not only 3-4 medium zucchinis but also eggs, cheese, flour, and bacon, making it complete in nourishment. There are so many reasons to love this Zucchini Slice Recipe. It’s great for breakfast, morning tea, lunch, afternoon tea or a light dinner – everything! It also freezes well, and is just so easy to make! This amazing recipe is from Katy Hooper! Finely chop the onion, melt the butter and gently fry onion then add the bacon and cook for a couple of minutes. Remove from heat and cool in the fridge. Grate the zucchini and place in a large mixing bowl. Add cooled onion and bacon mix to the bowl with the zucchini and mix with the flour and cheese. Lightly beat eggs and mix until well combine. Pour mix into a shallow baking tin greased or lined with baking paper. Bake for approximately 30 minutes or until the top has browned. This Zucchini Slice can be frozen up to two months. Cool to room temperate and cut into serving slices. Double wrap in plastic wrap and freeze! When zucchini's are too expensive, try grated pumpkin instead! Serve with a light garden salad.